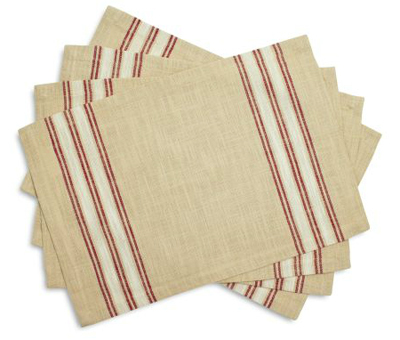 These classically designed Farmhouse Stripe Placemats add an appealing touch to your table setting. Soft, 100% cotton ensures that these mats are as durable as they are attractive. Includes 4 placemats. $24.95. Buy here.